Trina Solar is one of the leading global solar companies with over 11 GW in installations worldwide. With maanufacturing facilities located in China, Trina’s global presence includes regional headquarters in the US, Europe and Asia. Over almost 20 years, Trina PV modules have been well field tested and are backed by a solid 25/30 year linear power warranty that guarantees at least 90% power performance by year 10. 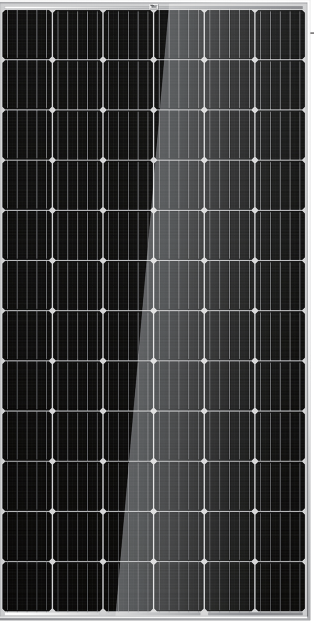 The Trina TSM-375-DE14A(II) TallMax Plus monocrystalline solar module is a good choice for rooftops and large scale installations with limited space that need to maximize efficiency. These mono panels are produced with stringent quality control to exceed certification requirements. The TALLmax solar panels are manufactured to withstand challenging conditions of 2400 Pa negative load and 5400 Pa positive load.